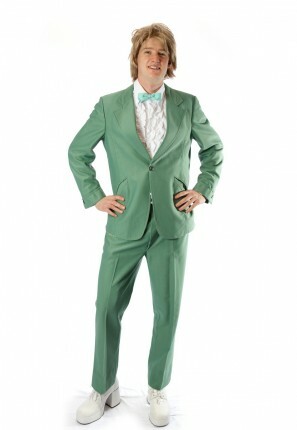 Retro 1970’s mens formal suit costume. Perfect for a vintage Prom look. costume consists of vintage 70’s green mens suit, with white ruffled shirt and bow tie.. Just add a great mullet wig and a corsage for your date.